U.S. Education Secretary Betsy DeVos pointed to Florida, claiming the state was a bright spot because of its school choice-friendly environment. But Marc Tucker of the National Center on Education and the Economy, writing for Education Week, points out Florida's gains were “meager” and the state was simply regaining ground it had lost on the last round of NAEP testing. “If Secretary DeVos wants to use Florida as proof that her reforms works, Florida will have to perform at much higher levels than it does and show consistent growth over several years,” Tucker wrote. And then there's Indiana, which won attention for significant improvement in eighth-grade reading scores on the national assessment. The average reading score for Indiana eighth-graders was 272, a four-point increase from 2015. Forty-one percent of the students reached the proficient level. But hold the celebration – those Indiana scores might be misleading. 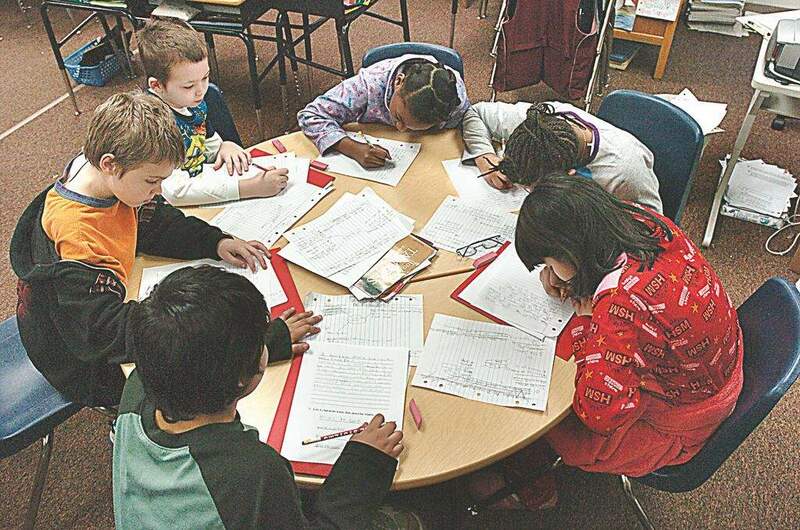 The state's decision to establish a reading test for third-graders in 2011 might have skewed the results, an Indiana University researcher told School Matters blogger Steve Hinnefeld. The IREAD 3 exam, which third-graders must pass to be promoted to grade 4, went into effect in 2012. As a result, 3 percent of Indiana students were retained that year. The national assessment scores are worth examining. Unlike Indiana's annual ISTEP, or its replacement ILEARN test, the exam is administered every two years. Scores are reported only for entire states or major cities, not for schools or districts. It is truly a measure of academic progress, not a tool for rewarding or punishing schools, students or teachers. But what this year's NAEP results show is a continuing small gain over the past two decades. Tucker, of the National Center for Education and the Economy, points out the best measure of American student performance is not the national test but results for PISA, an international assessment of 15-year-old students in 72 countries. U.S. student performance has been mostly stagnant since the exam was first administered in 2000, while 16 countries have vaulted ahead in math scores. The U.S. now ranks 40th on the international assessment in math – behind Estonia, Slovenia and Vietnam. How have other countries improved while the U.S. fell behind? Tucker suggests they didn't use the tools of U.S. reform. If Indiana and the rest of the nation are truly interested in improving academic performance, they would follow the lead of the countries with effective reform policies, including support for children before they start school, a supply of highly qualified teachers and an effective system of career and technical education and training.